It’s not impossible to make dream living rooms come true. 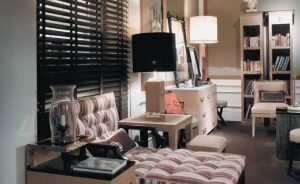 You just need to find the perfect detail to embellish and enhance your room and make it unique. 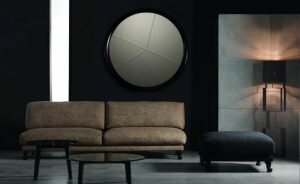 Click the pictures to find out the living rooms by Chelini, prestigious brand and leader in the field of luxury furniture Made in Italy. 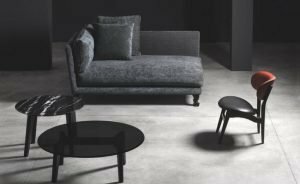 Chelini produces fine furniture, resulting from a careful study on models and a great attention to details, with finishes and decorations skilfully crafted by expert artisans. Every piece is a unique and inimitable work of art. The customer in fact can personalise any detail of his choice. 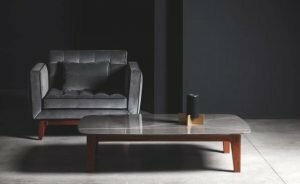 Renowned luxury furniture brand Made in Italy, Chelini is dedicated to the artisan production of inlaid wood furniture and furnishing accessories. Its creations are refined and unique, and take inspiration from classical culture. A benchmark in the field of interior design, Chelini works almost exclusively on its handcrafted collections. 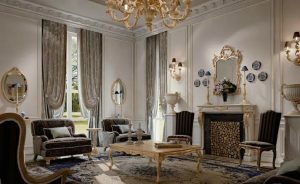 Its designer lines recall the charm and style of the houses of the time, with their distinctive elegance and refinement. 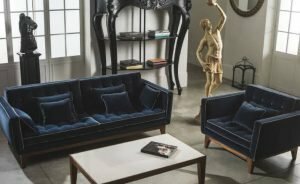 Established in 1898, this historic Florentine company has skillfully worked on its furniture since then. Each and every piece of furniture is finely crafted by capable hands and perfected down to the last detail before being launched onto the market. If the “Made in Italy” label is worldwide considered a guarantee of excellence in terms of luxury, class and refinement, it’s mainly thanks to the skillful work of Florentine artisans, who have made the Italian style a synonym for high quality. The brand Chelini has elegance, style and class in its blood. It was established in Florence, in Santo Spirito district, an area incredibly rich in art and beauty. 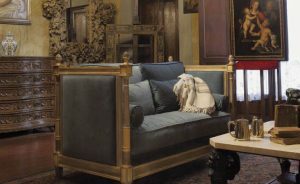 The combination of Tuscan art and tradition has always been a source of inspiration to the company. Luxury, refinement and selected materials distinguish each and every piece designed and crafted by Chelini, with its mastery, experience and a deep love for Made in Italy. 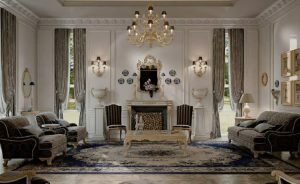 The furniture is the soul of the most beautiful mansions and a dream living room is the cornerstone of interior distribution. A room made for relaxing, entertaining the guests and dedicating to oneself and the family. The living room is the part of the house meant for expressing one’s concept of beauty. 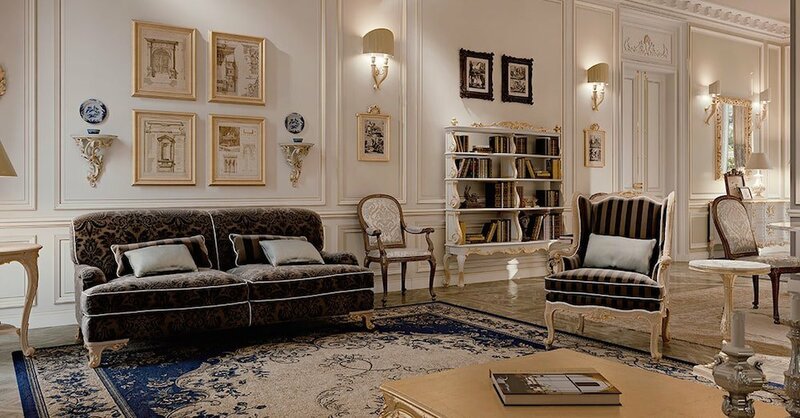 The prestigious Tuscan company Chelini offers a wide range of styles hinting at modern excess while remaining faithful to the classical standards of elegance and fine inlaying typical of artistic Florence. 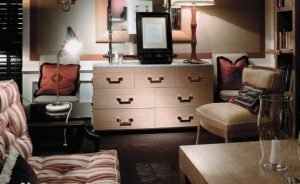 The eclecticism of Chelini’s furniture includes both the dimensions with the custom-made option and the style by adapting to any room. 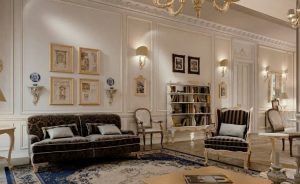 Let’s see how to embellish and enhance the living area with style and elegance, depending on the personality we wish to give the room. 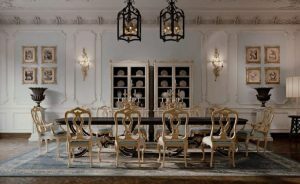 Classical furniture is evergreen in interior design. 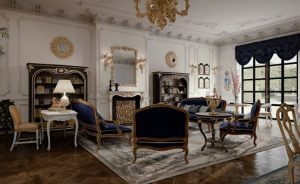 In a classical living room, the pieces of furniture stand out for their lavishness and opulence. The furniture takes inspiration from the past and is crafted from fine materials. 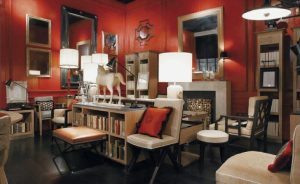 Any style can be adapted to the area and the dimensions of the room. If the space available is limited, it’s possible to add some mirrors to make the room look larger. As far as the flooring is concerned, we suggest wooden floors that follow a Herringbone or Chevron pattern. As for the walls, it’s possible to make customised finishes, with plaster rosettes or wood panels. A modern living room is characterised by clean lines and design linear shapes, with works of art hanging on the walls and unique solutions. The brand Chelini expresses its constant evolution throughout the search for sophisticated designs and new shapes. The leitmotiv in the collections by Chelini is their exclusivity. The artisan production in fact makes every piece unique and inimitable. 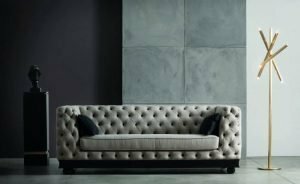 The materials play a key role in furnishing dreamy living rooms. Let’s go into detail. Marble has a very high chromatic power. The veins and inlays in this refined material tend to change colour depending on the light and create thus fascinating reflections in the room. 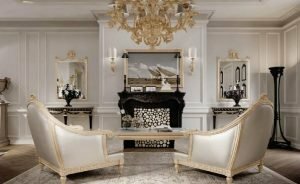 A must-have for a modern or neoclassical living room is a polished marble floor, that brings out the beauty of the room as a whole. A natural, noble, strong and resistant material, wood is the material par excellence in the field of interior design. It adapts to any style and can combine functionality, personality, taste and resistance. 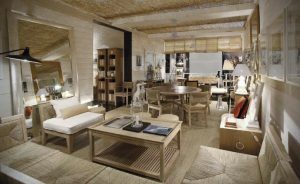 In a dreamy living room, you must be able to savour the warmth of fine wood and admire its veins and warm tones. In the furnishing accessories collection designed and drawn for Chelini by famous architect Michele Bönan, the wood type used is natural durmast or dark dyed pickled wood. Among the various finishes for inlaid wood of Chelini’s collections, the finishes inspired by ornaments on porcelain and Florentine gold decorations stand out. 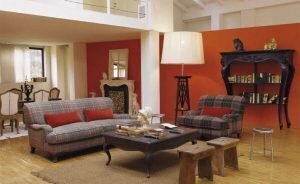 Leather sofas, pouffes and armchairs lend elegance, grace and splendour to the room. Faithful to the Florentine culture, the prestigious company Chelini selects the finest leather, handworked by following the traditional techniques.